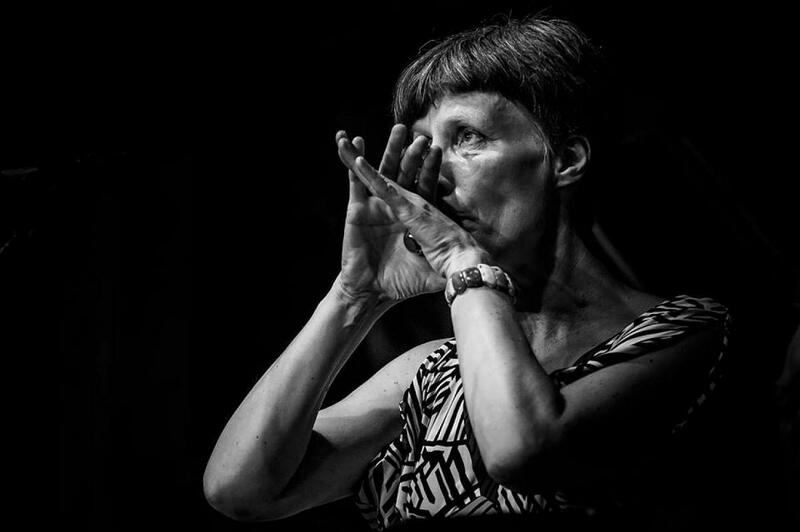 Lotte Anker is a saxophoneplayer, improviser, composer working in the field between experimental jazz/improvisation and contemporary music. Her music includes both melodic (often twisted or fragmented) elements and more abstract textural material and covers a wide territory from minimal, transparency to dense and dark expressionism. Initiator and bandleader of numerous highly acclaimed collaborations and groups eg: Anker,Taborn,Cleaver, Fred Frith & Lotte Anker, What River Ensemble, quartet with Johannes Bauer, John Edwards and Paul Lovens and the septet Electric Habitat. Numerous performances at major festivals and concertspaces throughout Europe, USA, Canada, Russia, Asia, Africa and the Middle-East. Collaborations with Ikue Mori, Sten Sandell, Thomas Lehn, Okkyung Lee, Paal Nilssen-Love, Joelle Leandre, Raymond Strid, Phil Minton, Evan Parker and many others. Compositional work includes music for both small group and large ensemble. Commissions for Huddersfield Contemporary Musicfestival, Donaueschinger Musiktage, Gong Tomorrow, Ensemble Modern ao. Andrea Parkins is a sound artist, composer and electroacoustic performer engaging with interactive electronics. She is known for her pioneering gestural/textural approach on her electronically processed accordion, and investigation of embodiment and chance with her amplified object and self-designed virtual sound-processing instruments. Her projects include performances, multi-diffusion sound installations; electronic music compositions; and sound design for contemporary dance, film and intermedia performance. Parkins' work has been presented at the Whitney Museum of American Art, Experimental Intermedia, Issue Project Room, Kunsthalle Basel, Musée d’Art Moderne et Contemporain (Strasbourg), NEXT (Bratislava) ao. She performs as a solo artist and has collaborated with Tony Buck, Magda Mayas, The Necks, Nels Cline, George E. Lewis, and contemporary dance theatre director Vera Mantero. Parkins’ recordings are released by Important Records, Atavistic, Henceforth, Confront, and Creative Sources.